If you learn how to pick a treadmill wisely, odds are you will be significantly more satisfied with your purchase. The problem is, with so many products on the market, the process can get a little overwhelming. It’s important to figure out what features and qualities are most important to you before you start searching for a treadmill. If you’re not sure what you’re looking for, thats ok. This guide will show you the thought process you should go through to help figure that out. There are several factors to consider when choosing the right treadmill, but this is one of the biggest decisions to make. If you can make this decision right off the bat, it will instantly help you target your search. There are advantages and disadvantages to both and the type of exercise you are looking for can help you decide. Manual treadmills have gotten a bad rap for a long time. Mostly because they were thought of as cheap and junky. They were considered flimsy and not worth the money because there was no way they could last. Well, fortunately, things have changed. The quality of manual treadmills has definitely improved over the years and it is possible to find models that are worth buying. You just have to know where to look. First of all, a manual treadmill is a treadmill that doesn’t have a motor. These treadmills are significantly smaller and more affordable than their motorized counterparts. These machines are also significantly more affordable than a standard electric treadmill- we’re talking under $200. This is at least half the price of the most affordable motorized treadmill around. The cheapest, and I mean CHEAPEST, electric treadmills are going to run you at least $300-$400. And I’m not saying I would vouch for all electric treadmills this cheap, but some might be ok depending on your needs. Point is, right off the bat you can see that price is one of the biggest benefits of a manual treadmill. Size is another one. Manual treadmills are significantly smaller than electric treadmills. In many cases, almost half the length. Your average electric treadmill is about 7 feet long and 3 feet wide. An average manual treadmill is about 4 feet long and 2.5 feet wide. Manual treadmills are also much easier to move. They all fold in half for easy storage. They are all significantly lighter, making them easy to transport from room to room. So manual treadmills are great when space is an issue. They can easily be stored out of the way when not in use. There is a significant downside to their small size, however. Manual treadmills are not appropriate for running. They should only be used for walking. I don’t care what the manufacturer says, no manual treadmill should be used for running! The running tracks are too short for a comfortable stride. Something else to consider, manual treadmills always have some degree of resting incline. This makes it easier to get the belt moving and keep it moving. 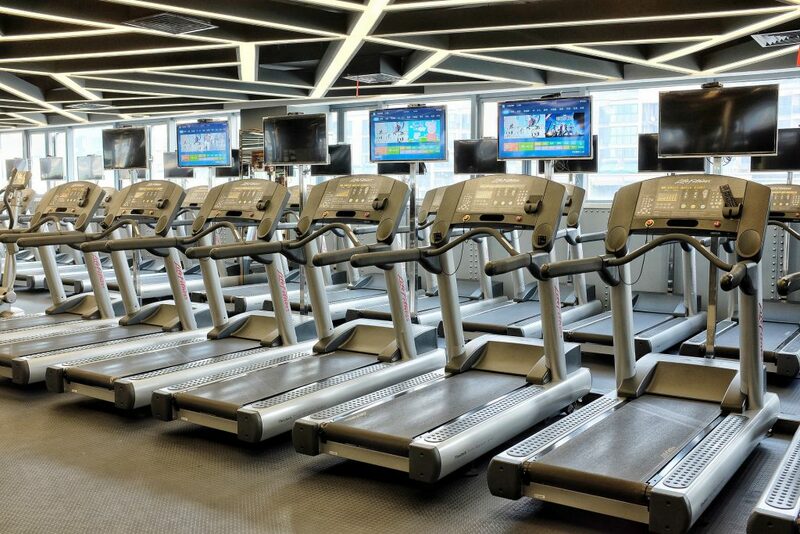 Remember, there is no motor on these treadmills so it is completely up to you to keep that belt moving. The incline makes it a little easier, but the downside is you are always walking against that incline. Many manual treadmills have adjustable inclines. The ones that do offer adjustable incline, usually offer 2 or 3 different settings that you have to set manually. Inclines vary anywhere from 5 deg to 15 deg. Walking against an incline is hard enough, I can’t imagine trying to sustain a running pace on one of these inclines. Walking against a constant incline is challenging, but that also means you are going to be burning more calories as you walk. These inclines can be tough on your knees if you have achy joints. Manual treadmills also have less cushion in the belt than electric models. Something to consider if you have arthritis. If you know you are in the market for a manual treadmill, you should take a look at my buyers guide for the best manual treadmills. It includes a discussion on the best manual machines currently available. Most of us are more familiar with electric treadmills than manual ones. These are the treadmills most of us have used before, either in a commercial gym or rehab setting. These treadmills offer a lot more features than the manual machines, but they take up a lot more space and cost a lot more. Let’s discuss price first. I mentioned that you can get the nicest manual treadmill in the world for less than $200. A nice, commercial grade treadmill could easily run you $7000. Most of us don’t need a commercial grade treadmill in our home gym, granted. Realistically, for a nice home gym treadmill, you are probably going to spend somewhere between $1500 – $2000. Why are some treadmills so much more expensive than others? It really comes down to quality of build and features. The more features a machine has, the more you are gonna have to pay. Track size also comes into play. Nicer treadmills have longer and wider running surfaces for increased comfort during use. 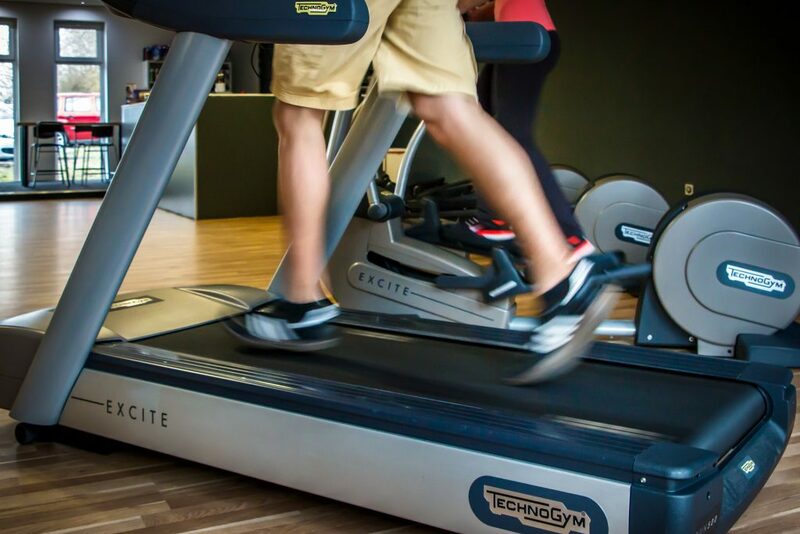 Nicer electric treadmills can also handle the wear and tear of multiple users. Manual treadmills, and cheaper electric treadmills, aren’t going to last long with multiple users. More expensive machines tend to be more durable and reliable. Remember, we usually get what we pay for. If you want a treadmill for running, I highly recommend purchasing a motorized treadmill. We discussed how small manual treadmills are. Electric treadmills have significantly longer and wider belts. Electric treadmill belts can be anywhere from 50 – 60 inches long and 20-24 inches wide. These larger spaces give you more room to run comfortably without having to shorten your stride. If you are looking for more advanced features, like bluetooth, telemetry heart rate monitors, workout programs, and power inclines, then you need an electric treadmill. These features are not available on manual treadmills. By this point, hopefully you have decided whether you need a manual treadmill or an electric treadmill. If you know an electric treadmill is right for you, check out my buyer’s guide for the best treadmills on the market. It offers an in-depth look at the best motorized treadmills available today. Let’s discuss a few of the different features available on electric treadmills so you can narrow down your search. There are a lot of fancy bells and whistles available on treadmills, but is it really worth paying more for them? Maybe. Really depends on what you want out of your treadmill. Do you want a treadmill that inclines? The ability to incline offers you a great way to increase the difficulty of your workout. It also adds variety to your workout, which can be helpful if you get bored jogging away on a flat surface. Having the ability to incline will cost a little extra, but most electric treadmills these days have a power incline. Some of the really cheap ones have a manual incline. Nice treadmills can incline up to 15-20%, more than enough to keep you working hard for years to come. I dare say all electric treadmills offer at least a grip heart rate monitor. Most manual treadmills offer a grip heart rate monitor as well. Nicer electric treadmills will offer telemetry (wireless) heart rate compatibility. This allows you to wear a chest strap heart rate monitor to keep track of your heart rate while you exercise. Manual treadmills don’t offer wireless monitoring. Treadmills with heart rate monitors (motorized ones anyway) usually offer heart rate workout programs- these programs adjust the speed or incline to keep your heart rate within a certain zone. This is a nice feature because it ensures you are working hard enough to keep your heart rate up to get the full cardiovascular benefit. A lot of motorized treadmills now offer bluetooth compatibility. This feature allows you to connect your treadmill to any number of workout apps to track your stats. Some treadmill manufacturers have their own workout apps, most allow you to use free exercise apps through your smart phone. All nice electric treadmills come with workout programs. The number of options varies greatly from machine to machine, you can expect anywhere from 6 – 30 depending on the make and model. These workouts include interval programs, heart rate programs, random, cardio, fat burning, etc. More workout programs equals higher cost. If you don’t think you will use the programs that much, you can save some money and get a machine with fewer programs. The display monitor is another feature that can really increase price on you. Sometimes the only difference between 2 models is the display screen. The nicer the monitor, the more you can expect to pay. Most display monitors are LCD backlit screens. Some come in different colors. Some machines will boast that they have “dual screens” allowing you to track more stats at the same time. Besides the above features that are offered, many treadmills will advertise other little “bonuses”. These include water bottle holders, speakers, 3-speed fans, remote control holders, magazine racks, mp3 ports, touch screens, and more. These extras can be nice, but you should consider how important they are to you. Especially if you are on a tighter budget- you can save some money by purchasing a treadmill with fewer bells and whistles. Most of us listen to our phone or an mp3 player while we exercise, so having nice speakers on your treadmill may not be a priority. 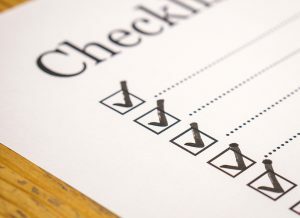 The features described above are nice, but when it comes down to making a serious decision, there are a few core details that are more important. The following features need to be examined anytime you start the purchasing process for a treadmill (or any other piece of fitness equipment). The max user weight limit is always an important stat to look at. It gives you a great idea of how durable and well built the machine is. Especially if you are a larger individual. Manual treadmills have lower weight capacities, usually in the 220-300 lb range. Electric treadmills can range up to 400 lb. Make sure you are well below the max weight capacity of any treadmill you decide on. Remember, safety first. Warranty is another indication of how well built your treadmill is. Higher quality machines have significantly better warranties, cheaper treadmills have shorter warranties. Warranties can be included for frame, motor, parts, and labor. Warranties can range from 30 days to lifetime. Many treadmills offer lifetime warranties on frame, awesome treadmills offer lifetime warranties on their parts (but few do). Decent warranties range in the 3-5 year timespan, awful warranties are 30-90 days. We discussed size already, but I wanted to stress it’s importance one more time. I highly recommend that everyone measure out their space in the room they plan on putting the treadmill. Know exactly how much room you have and compare that to the dimensions provided by the manufacturer. Make sure you have enough room for your treadmill! A lot of electric treadmills also fold these days. This is a really nice feature if space is tight. When not in use, you can fold it in half and even roll it away if necessary. Manual treadmills are so small and light, they can easily be moved. Larger, non-folding treadmills are difficult to move and should be kept in one space permanently. Ok, now that we know what to look for when comparing treadmills, I want to do a quick run through of how you should work through the process. This is how I shop for all fitness equipment. If you go through the above process, you can guarantee you are making an educated purchase. Educated consumers are happy consumers! It’s always a good idea to do your research before you buy anything. That’s why I am here, to help you make the best decision and decrease the chance of you purchasing a treadmill that doesn’t fit your needs. We just took a look at the considerations you should make when deciding on a treadmill. I hope you are feeling confident in your ability to pick the perfect treadmill. If you aren’t, leave a comment with your concerns and I’ll get back to ya.